Born into a family of intuitives, channelers and healers set the stage for a lifetime exploring the phenomena of knowing without knowing how we know. While taking yoga teacher training in Mexico to mark the crossing of her fiftieth birthday, the author received a vision from an ancient feminine presence known as The Grandmothers, encouraging her to open her heart in support of a transformation in consciousness. Albert Einstein relied upon his intuitive insight for solving complex problems regarding the nature of the Universe, but for some reason this gift of intuitive intelligence remains silenced and hidden within the consciousness of many. Why? Children are born with a natural telepathy type consciousness that can be supported and nurtured by parents and family. Science is catching up with ancient knowledge, bridging worldviews and giving credibility to other ways of knowing, balancing masculine with feminine and integrating spirit with matter. Intuitive leadership is the idea that we are all leaders who can find the answers to problems within ourselves, creating change as inspired by our dreams and our intuitions. A framework for intuitive decision-making is included that can be used by everyone. This is a guide only as intuition is holistic, arising individually from right-brain processes and feminine ways of knowing which are mysterious, non-linear, non-logical, and participatory in nature. 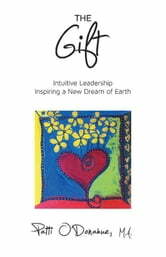 Humanity is going through a radical transformation that requires new ways of thinking, and intuitive leadership is a gift that everyone can reclaim as we dream new dreams of Earth.